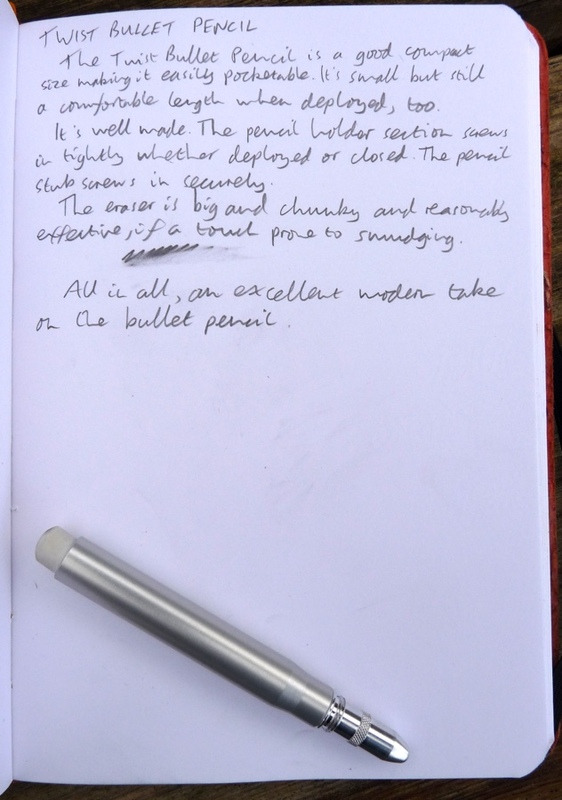 Twist Bullet Pencil Review – Pens! Paper! Pencils! 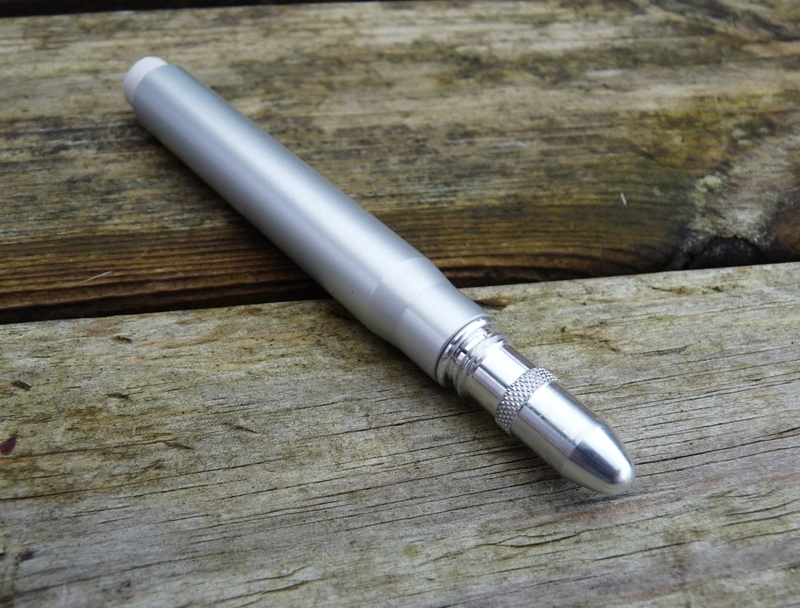 The Twist is a modern bullet pencil made by Metal Shop. It’s available direct from their website and costs $37.50. I picked this one up a little less during their Kickstarter campaign. All pencils are delivered with two erasers and three Blackwing 602 pencil stubs. 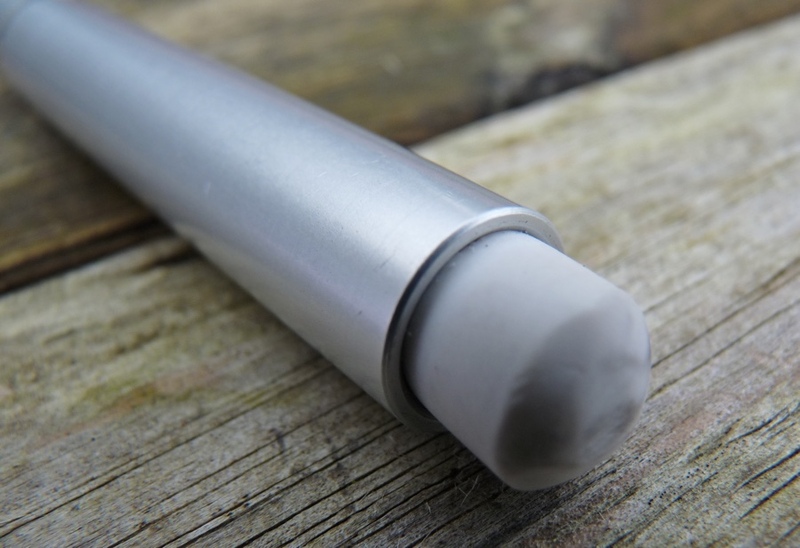 The version I’m reviewing here has a raw aluminium barrel and a round aluminium tip. It’s possible to get the barrel finished in black, red, green or blue, have the tip made from brass and have a pointy rather that round tip. 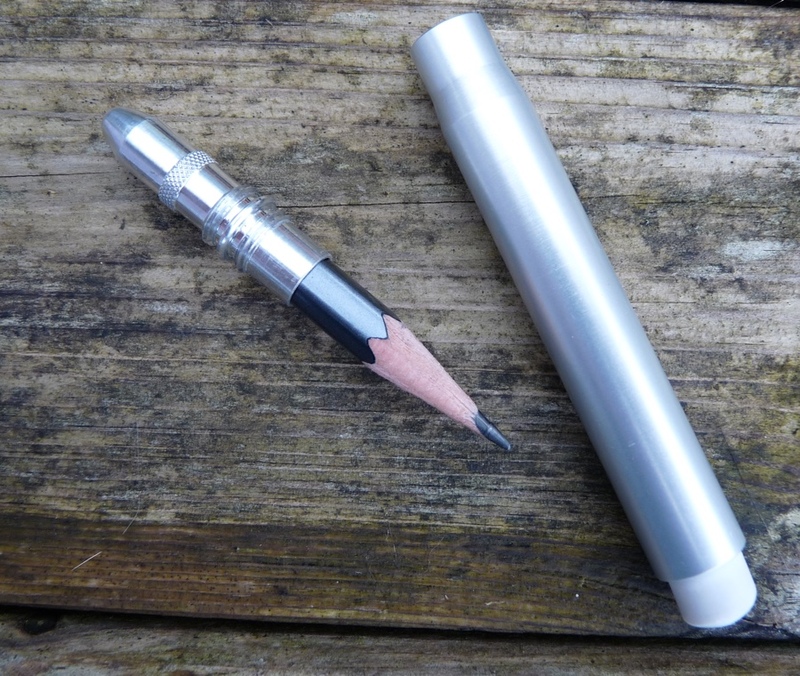 The pencil stubs twist into the holder which in turn screws into the barrel, either to close or to post. Everything twists (very nicely and securely) into place, hence the name. It’s a good length, easily pocketable when closed, long enough to be comfortable when posted. Obviously as the pencil stub wears down your fingers end up on the threads, which isn’t a disaster but is something to consider. The eraser is good and chunky and works pretty well although can be a little smeary. It has to be really firmly twisted into the barrel as I’ve found it working its way loose now and then. 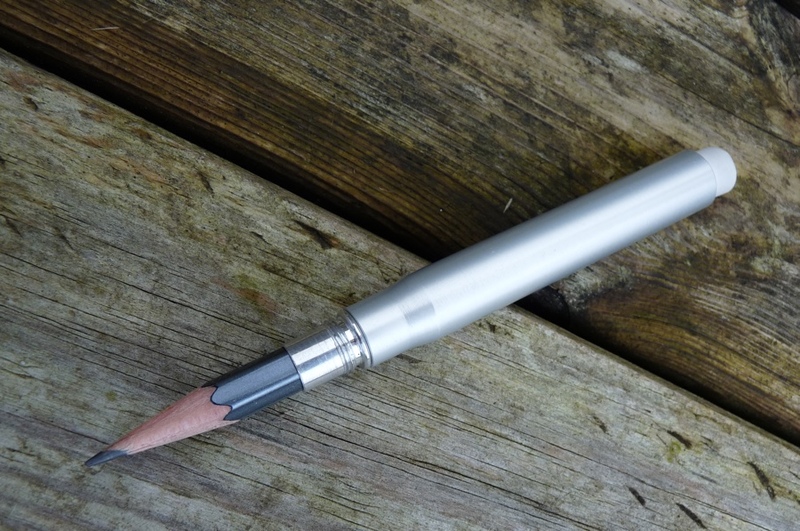 The pencil as a whole is extremely well engineered, with no wobbles or wiggles. It’s well balanced and easy to write with. The Blackwing 602 is a good choice to get you started but you’ll almost definitely be able to use your most favourite pencil instead, if you wish. 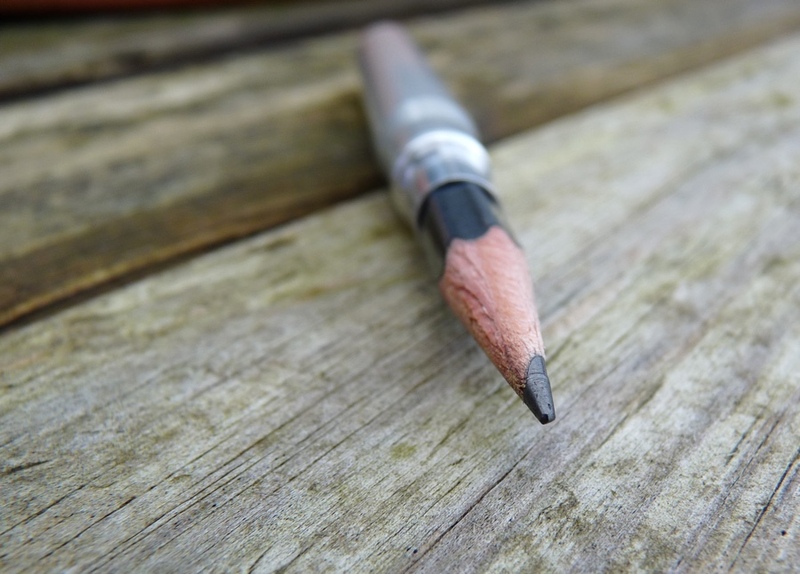 The bullet pencil concept is about making a wooden pencil more easily portable, to make it safe in the pocket or bag. The Twist achieves this and it achieves it with panache. Good stuff. I really want a bullet pencil but I’ve been stalled—get the Twist (a little pricey for me), the Midori version (non-standard pencil refills), or hunt down a vintage one somewhere (probably won’t be so durable/eraser likely non-replaceable). Ultimately, I think the Twist is the best option.